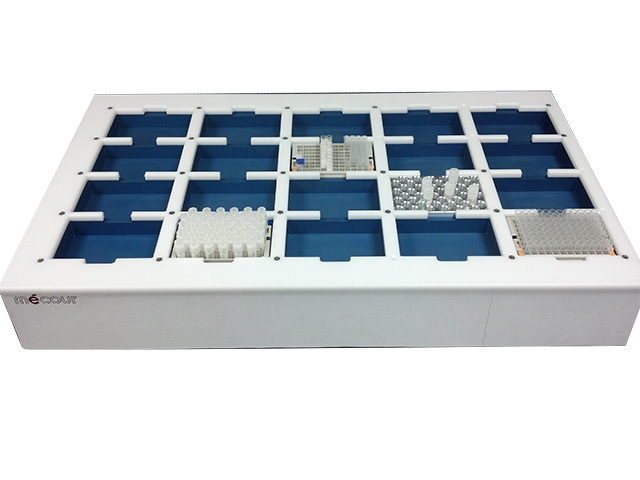 -65°C thermal unit that accommodates 20 SBS-compliant tube racks. 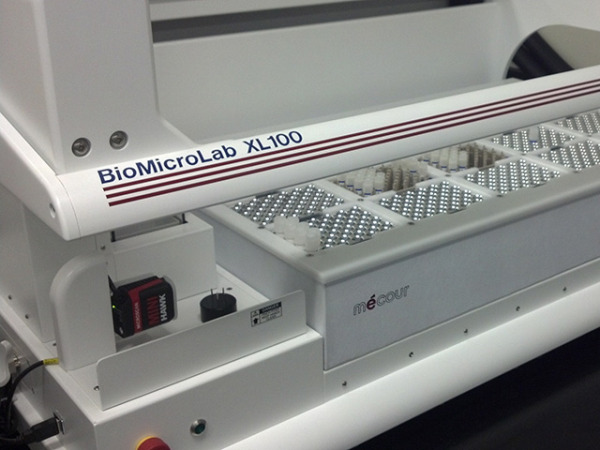 -65°C MeCour tube track unit integrates with the BioMicroLab XL100. 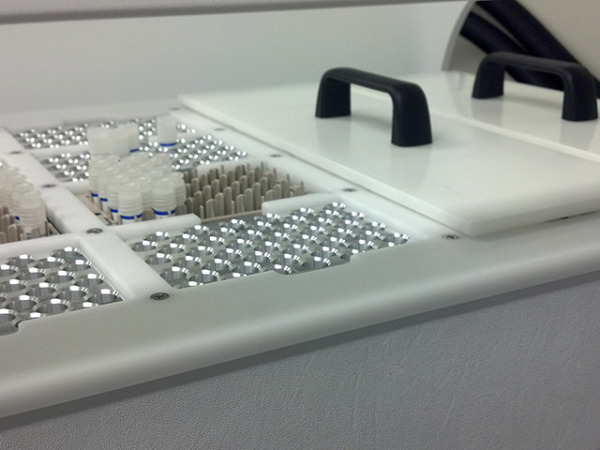 Maintain samples in frozen state while the XL100 picks, scans and sorts vials. 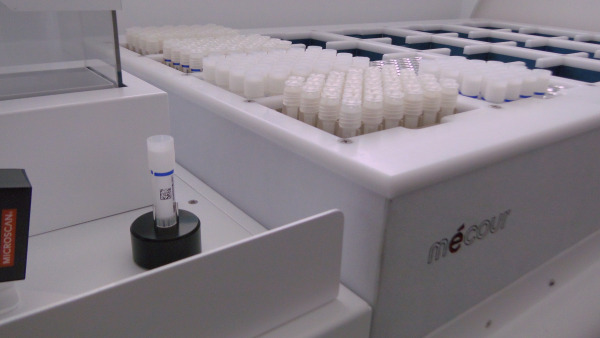 The Ultra Low Temp MeCour systems can provide removable top covers that control environmental impact and on-set of condensation.